Did you know that you can now travel to Kenya, Rwanda and Uganda with a single visa? The Borderless Borders partnership has created the East Africa Tourist Visa which will allow travellers to enjoy all three countries with a single visa. How do I apply for the East Africa Tourist Visa? You can apply for the East Africa Tourist Visa at the closest Kenya, Rwanda or Uganda embassy. You need to apply at the embassy of the country that you will visit first. You have to apply for this visa in advance and not on arrival. Whether or not the country you are travelling from does not require you to have a visa to enter Kenya, Rwanda or Uganda, the East Africa Tourist Visa is only applicable for those touring the three countries simultaneously and pay one price for a three-state visa. *Kenya embassy in Belgium confirmed that they do not issue this visa but that, however, visitors wishing to travel to Kenya with the East Africa Tourist Visa would have to apply for it at the Rwandan embassy. Contact details: +32 2 340 1040. If you are beginning your trip in Rwanda, you can apply through the Rwanda Online Visa Application System. Under "Type of Visa", select "East Africa Tourist Visa." For more information you can contact your local Rwanda embassy. Full list of Rwandan Embassies around the world. If you are applying in Rwanda, the process for Rwanda takes three days. The visa application process takes two working days for Uganda and for Kenya. What do I need to apply for the East Africa Tourist Visa? You’ll need one clear coloured passport size photo with white background recently taken without glasses, caps and scarf. The photo should be attached to the application form by use of glue stick. Stapling and clipping the photo to the application form is not advisable. Visa application letter addressed to the issuing authority of the concerned country in support of why you’re applying for the travel visa. What is the cost of the East Africa Tourist Visa? Minimum $ 100. The cost might change from country to country. 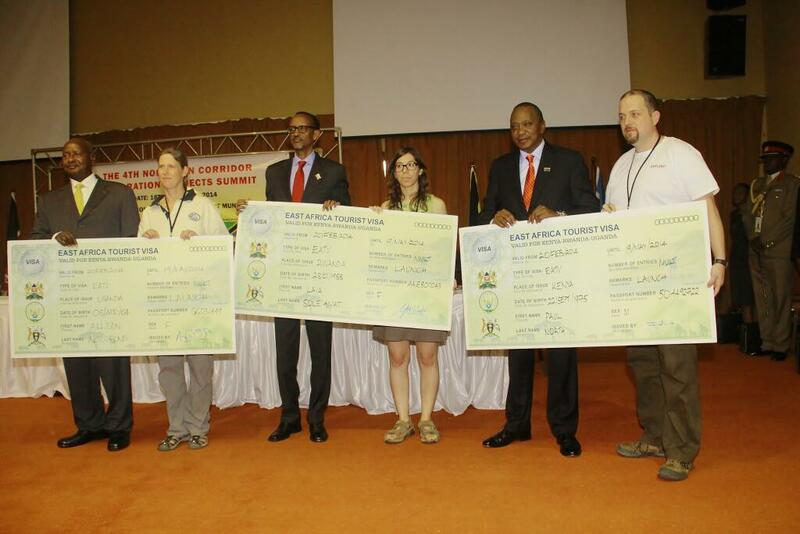 You will have to find out at your embassy how much the East Africa Tourist Visa will cost you. Some countries may charge more than others but the minimum cost is $ 100. Do I need the East Africa Tourist Visa if I only want to visit one or two of the three countries? No. It will be cheaper for you to get an entry visa on arrival. Single entry visa is $ 50. If you are visiting two countries you will need a visa for each which will cost you $100 combined, same as the East Africa Tourist Visa. I have my East Africa Tourist Visa, what is next? Once you have the East Africa Tourist Visa you may enter Kenya, Rwanda or Uganda from the country where the visa was issued and you should then be able to move within the other two countries without applying for another visa or paying for another visa fee. You will also be able to move out of Kenya, Rwanda and Uganda and return without having to pay for another visa provided that all travelling is within the 90-day period. These multiple entries are only allowed in these three counties with this one visa within the 90-day period. Can I use the East Africa Tourist Visa as a work visa? No. Work is not permitted with the East Africa Tourist Visa. Can I extend my East Africa Tourist Visa? No. There will not be any extensions made to the East Africa Tourist Visa. Each person must apply in his/ her own right. All travellers are advised to carry all their other travel documents & these must be valid for no less than 6 months. The East Africa Tourist Visa is valid for 90 days & allows for multiple entries during those 90 days only. Applicants are advised to provide proof of travel payments made e.g. tickets, airline tickets, proof of payment from booking agent, itinerary, etc. Please note that the visa prices for the different countries are subject to change. All travellers are advised to make provision/ adjustment for this. Also remember that visas issued for specific countries can only be used for those particular countries. The benefit of having this visa is that instead of applying for one visa for each of the three countries or a joint visa for any of the two, you can now own one that allows you entrance in all three countries. Talk about hitting three birds with one stone.